Deana Womack is a mother, grandmother, political activist, friend, retiree, book and health club member and former union lobbyist who lives in Kennesaw, Georgia. Originally from Tennessee, she lived in California, Missouri, Texas and Ohio before settling in Georgia. Both her father and former husband worked in the aerospace industry requiring frequent moves, which resulted in her having friends everywhere. She graduated from high school in Marietta and attended Kennesaw State University. She has two children. Scottie has retired as a helicopter pilot with United States Coast Guard. He lives in Pensacola, Florida with his wife, a nurse practitioner, and their two children. Erin is a veterinarian assistant and Kelly is a student at University of North Florida. Commissioner Womack's daughter Christie teaches third grade in Cobb County Georgia. Her husband is employed at Dobbins Air Force Base. They have two children, Lee, a student at Georgia State University, and Brittany, a fast-pitch softball player who attends Harrison High School. 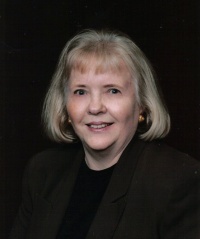 Womack is retired from Lockheed Martin, where she was Legislative Director for the International Association of Machinists and Aerospace Workers for the state of Georgia. She has been active in the Georgia Democratic Party for thirty two years, and was elected six times as a delegate to the National Democratic Convention. She is a book club member, an avid traveler and attends water aerobics classes at WellStar Health Place. Commissioner Deana Womack is a charter member of the Commission on Women, appointed by Governor Zell Miller in 1992. She has been re-appointed by Governor Roy Barnes and Lt. Governor Mark Taylor. She is Chair of the Employment & EEO Committee, Vice-chair of the Health Committee and a member of Legislation and Status of Women Committees. She also serves on the Georgia Woman of the Year Committee and the Georgia Osteoporosis Initiative. Through research for her book, Women Who Were First, her interviews of over 100 women and her extensive work with women’s organizations; Myra is quickly becoming a recognized authority on women in the workplace. Women’s groups enjoy hearing Myra speak about her research and the women she has interviewed.